The AT&T/T-Mobile merger just doesn’t seem to get off the news. Most of you must have thought about the possibility of this merger not happening or being cancelled, but do you know what would happen if the deal were to be cancelled? 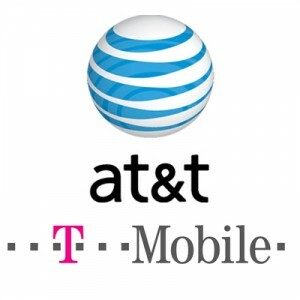 Well, it was recently told by AT&T that if the deal was cancelled, AT&T was supposed to pay T-Mobile a fee of $3 billion, but now a new report by Reuters claims that AT&T will actually have to pay $6 billion to T-Mobile in assets and cash (i.e in the event of cancellation). The info was provided to them by some unnamed sources. This will include $1 billion worth of roaming agreement and $2 billion worth of spectrum allotment. This brings up the percentage of the cancellation fee from 7% to 15.4% of the total deal which is quite high even by AT&T’s standards. One would wonder however, as to why AT&T has agreed to pay such a huge amount in the event of cancellation. Some think, it shows AT&T’s confidence with the deal going forward. T-Mobile however can breathe easy, because regardless of what the outcome will be, they’ll get benefits. It is notable though that $2 billion of spectrum allotment will only give T-Mobile about 10 MHz of spectrum. There’s no doubt that this would considerably upgrade their current standards, but it would still have a long way to go to compete with the likes of AT&T and Verizon. It almost looks like T-Mobile wants the deal to be cancelled rather than be bought by AT&T because spectrum allotment and the roaming agreement could do a lot for them going forward. Whatever the outcome is, the public would want better services from their network provider at the end of the day, so if the network providers fulfill that task, it shouldn’t be much of a problem.